As many of you will be aware, the Government of Canada is making changes to the way that tax is collected in the Province of British Columbia. The fishing and hospitality industry will be affected by these changes and we wanted to notify our valued guests to explain how this will affect the cost of our fishing trips. As of July 1st, 2010, the Province of British Columbia will be introducing new tax regulations, combining the current 5% Provincial Sales Tax (PST) and the 7% Federal Goods and Services Tax (GST), into a new 12% Harmonized Sales Tax (HST). For all guests who have already booked trips with us for the 2010 season, we encourage you to make your payments before April 30th, to avoid paying the additional tax costs. All bookings and payments made from May 1st, will qualify under the new tax laws. West Coast Fishing Club strives to offer its valued guests the very best wilderness fishing experience in the Americas, by consistently exceeding expectations through unparalleled levels of service and quality. 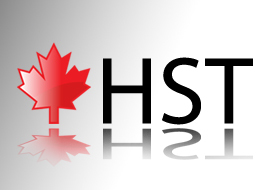 Pre-book your 2011 trip package at 2010 rates and save the HST tax. Book and pay for your 2011 fishing trip by april 30th, 2010, we will not only offer our 2010 rate sheet, but your will save the 7% net tax on your booking.